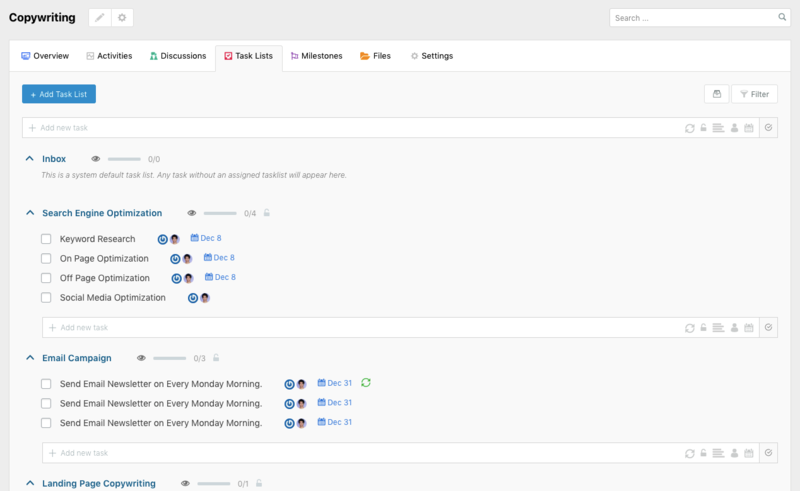 With the WordPress Project Manager, you can break down your tasks into subtasks to make things more specific. It is a pro feature and comes in the form of a module. To activate the Sub Task Module go to WP Admin Dashboard → Project Manager → Modules → Activate the Sub Task module. Navigate to WP Admin Dashboard → Project Manager → Select any project you wish to view → click on Task Lists tab. Now select a task by clicking on a task. 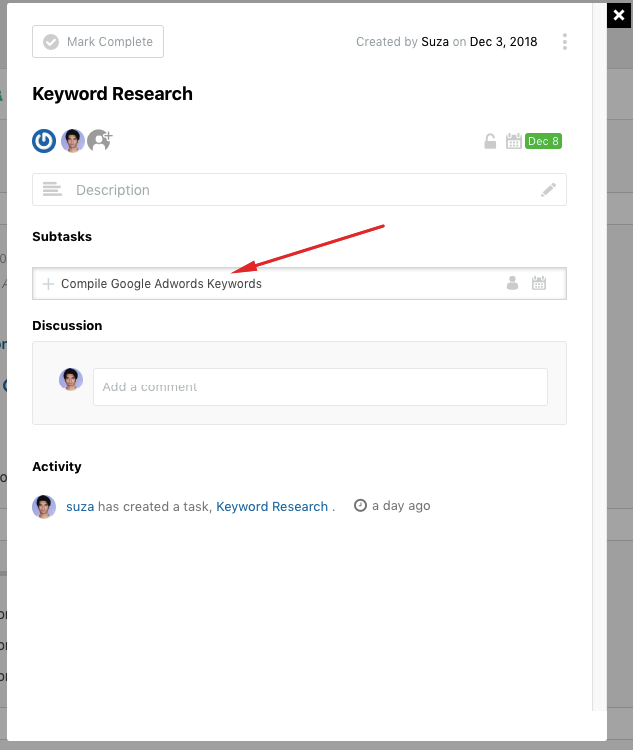 For example, let's select the task, “Keyword Research” from here. 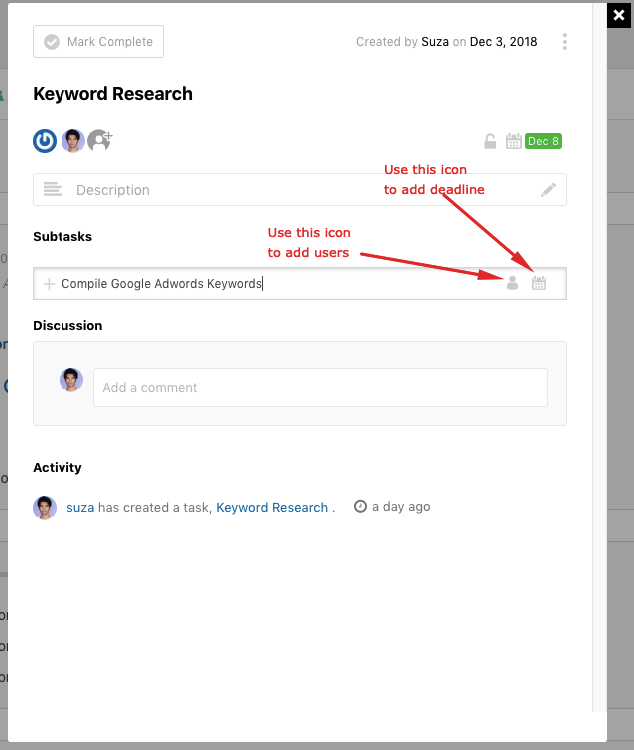 Now, a modal window will pop up and from this window, you can add subtask. You can also add users and deadline for this task. Now, hit the ‘Enter' button of the keyboard to save this subtask. On hitting the ‘Enter' button, you will see the subtask has been created. You can also add users, set a deadline or creation date and delete the subtask from here. 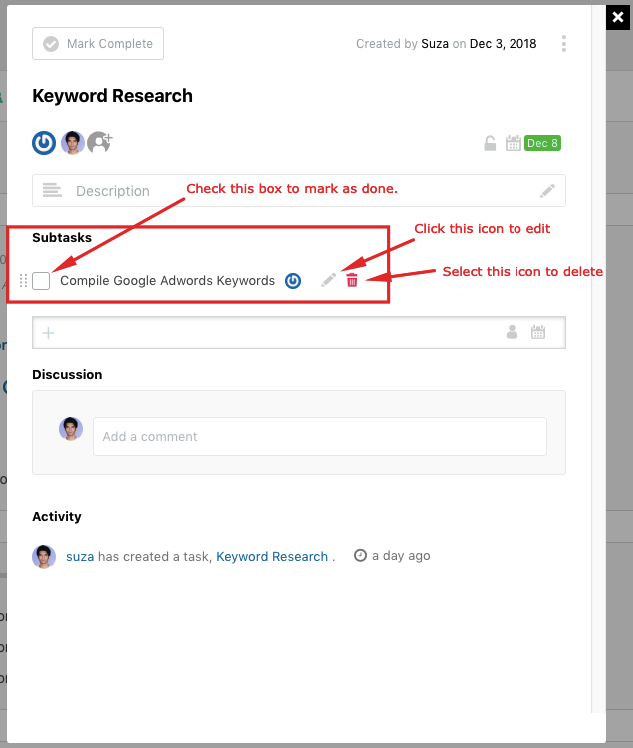 That's how you can create subtasks by selecting a task and most importantly, you can create unlimited subtasks. 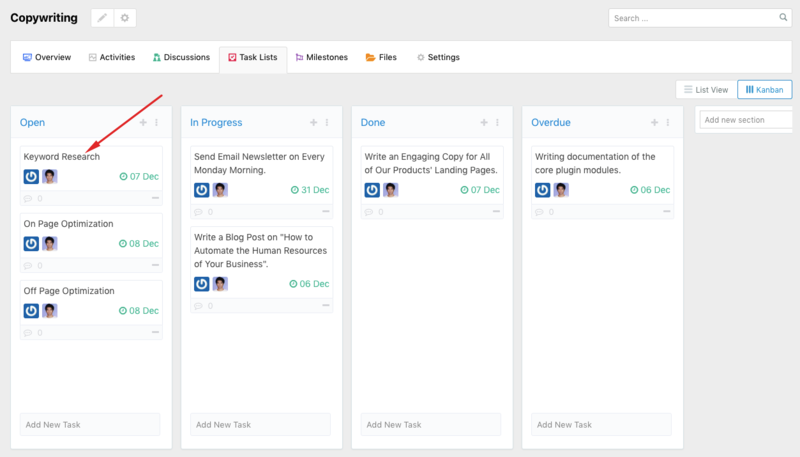 Again, the best part is that you can add as many subtasks as you want. If you need any help using this plugin, feel free to contact us.